Natalya Kaplan, cousin of Ukrainian filmmaker Oleg Sentsov, has visited him at the Polar Bear Penal Colony in Labytnangi, reports Gromadskoe. 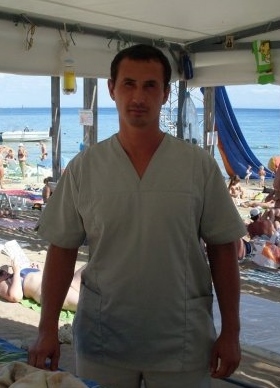 “I met with Oleg. We chatted for two hours. It was a short visit. Oleg, who is 190 centimeters tall, now weighs 75 kilos. He has lost 15 kilos during the hunger strike,” said Ms. Kaplan. “Yesterday, he felt quite sick. Today, he was fine. He came to the meeting on his own. He feels worse in the evenings. He says he now has a much easier time of it. The first three weeks of the hunger strike were the most agonizing period. He has been getting IVs now. He would not survive without them. He has no plans of ending the hunger strike. His outlook is optimistic. He believes what he is doing has a purpose. And he believes he will win,” said the filmmaker’s cousin. Kaplan added that Sentsov has asked the public not to visit him in prison, but to visit the other political prisoners for whom he has been fighting. Mr. Sentsov was convicted in Russia on charges of planning terrorist attacks in Crimea. He has been on hunger strike since May 14, demanding the Russian authorities release all Ukrainian political prisoners in their custody except him. Many Russian and international cultural figures and human rights activists have voiced their support for him. In recent weeks, the Russian and Ukrainian sides have been trying to agree on a prisoner exchange and iron out a schedule of visits to penal colonies. Lyudmila Denisova, the Verkhovna Rada’s human rights ombudsman, has voiced Ukraine’s willingness to implement an exchange of twenty-three prisoners from each side. Thanks to Dmitry Dinze and Askold Kurov for the heads-up. Here is what Novaya Gazeta omitted from the original article as published on the Gromadskoye website. Natalya Kaplan told Oleg that Emir Hussein Kuku had joined his hunger strike and about the demonstrations supporting him. “He is really grateful there have been so many rallies in his support, that people have not given up and keep on fighting. At the same time, however, he is quite disappointed very little attention has been paid to the other political prisoners. He thinks that if he alone were released, it would be a complete failure,” she said. “In particular, he asked Ombudsman Denisova, Father Kliment, the independent doctors, and consular officials who have tried to visit him to go visit the other political prisoners, so that no one forgets them,” said Ms. Kaplan. According to her, he has television for entertainment, and he has also been writing and editing his old diary entries. He asks that no more books be sent to him. He has lots of books as it is. It has transpired the former so-called prosecutor of Russia-annexed Crimea, Natalia Poklonskaya, was involved in Mr. Sentsov’s illegal trial in the Russian Federation, during which he was sentenced to twenty years in prison. On June 29, Mr. Sentsov’s attorney, Dmitry Dinze, reported Mr. Sentsov was in the prison infirmary, but his condition was stable. 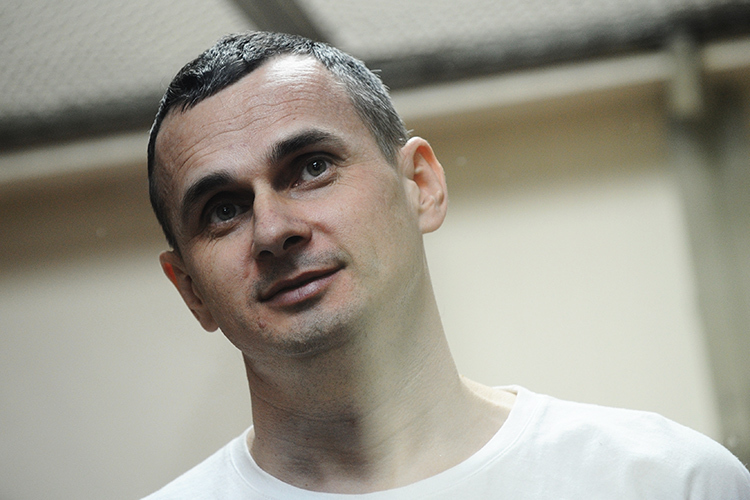 Mr. Dinze also reported Russia had received two requests to pardon Mr. Sentsov. On June 15, Ms. Denisova was not allowed to see Mr. Sentsov. Subsequently, Ms. Denisova was also not allowed to see Ukrainian political prisoner Mykola Karpyuk, imprisoned in the Russian city of Vladimir. 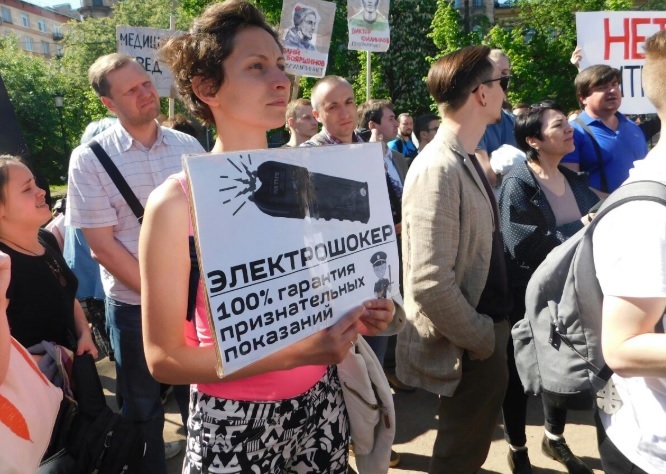 On June 21, the Ukrainian Embassy in Russia demanded Ms. Denisova be granted priority access to the prisons where political prisoners Oleg Sentsov, Stanislav Klykh, Alexander Kolchenko, and Vladimir Balukh have been incarcerated. On June 21, Ukrainian President Petro Poroshenko again talked on the phone with Russian President Vladimir Putin, urging him to release the Ukrainian political prisoners. The ambassadors of the G7 countries have expressed deep concern about the circumstances of Mr. Sentsov and the other Ukrainian political prisoners incarcerated in Russia. On June 14, the European Parliament passed a resolution demanding the immediate release of Mr. Sentsov and the Kremlin’s other Ukrainian political prisoners. On June 19, President Putin’s press secretary, Dmitry Peskov, said the Kremlin’s position on Mr. Sentsov had not changed after an appeal to release him was made by prominent Russian cultural figures. Sixty-four Ukrainian political prisoners are currently being held in Russia and annexed Crimea, twenty-seven of them in Russia proper. Fifty-eight of them were either arrested in Crimea or arrested on charges involving Crimea. These numbers do not take into account the currently held in the self-proclaimed Republics of Donetsk and Luhansk. Antifascist Alexander Kolchenko, convicted in the Case of the “Crimean Terrorists,” has written a letter to filmmaker Oleg Sentsov, who is in the ninth day of a hunger strike meant to force the Russian authorities to release all Ukrainian political prisoners from the country’s prisons. Mediazona was told about the letter by attorney Svetlana Sidorkina. According to Sidorkina, Kolchenko was afraid the censor would not pass the letter on to Sentsov, so he gave her a detailed acount of its contents when she visited Kolchenko at Corrective Colony No. 6 in the town of Kopeysk. “In the letter he wrote that, in his opinion, a hunger strike was an effective means of defense only in cases in which a country valued its reputation. Alexander believes that, in Oleg’s case, Russia could ignore his hunger strike, but not let him die by forcibly feeding and sending him off for a psychiatric examination. Sergei Magnitsky’s death changed nothing in Russia. Instead, the Dima Yaklovev Law was adopted. He did not try and dissuade Oleg, since he knows Oleg is stubborn and does not change his mind. He is quite concerned for his health, since he knows what the climate and living conditions are like in Labytnangi from prisoners he met when he and Oleg were in transit to the prisons where they would serve their sentences. Although Alexander doesn’t agree with Oleg’s method, he respects his stance on freeing Ukrainian political prisoners from Russian prisons and is ready to support Oleg if he needs to,” said Sidorkina. Sidorkina tried to dissuade Kolchenko from a possible hunger strike by pointing to his health problems and the fact he is underweight. Because of this, he is on a special diet. Aside from the letter to Sentsov, Kolchenko wrote a letter to Vladimir Putin demanding he intervene in the situation and release Sentsova. Kolchenko, however, was afraid the censor would also prevent the letter from reaching its addressee. Kolchenko added he had no complaints about conditions in the penal colony. According to Sidorkin, he looked cheerful, but was quite worried about Sentsova. Sidorkina had wanted to show him articles about the Ukrainian filmmaker’s hunger strike, but penal colony staff stopped her from doing so. In 2015, a court sentenced Kolchenko and Sentsov to ten years and twenty years, respectively, in maximum security penal colonies. According to police investigators, in 2014, Sentsov established a “terrorist community” (illegal under Article 205.4 Part 1 of the Russian Criminal Code). Members of the alleged community supposedly set fire to the doors of the Russian Community of Crimea and the windows of a United Russia Party office. These actions were deemed terrorist attacks, punishable under Article 205 Part 2 Paragraph A of the Criminal Code. In addition, police investigators insisted members of the alleged “terrorist community” were planning to blow up a monument to Lenin and the Eternal Flame, punishable under Article 30 Part 1 and Article 205 Part 2 Paragraph A. Sentsov was also charged with trafficking in arms and explosives as part of a group, punishable by Article 222 Part 3. Kolchenko was found guilty of involvement in the alleged terrorist community and planning terrorist attacks on the Crimean Peninsula. Both men have denied their guilt. In the spring of 2016, Sentsov was transported to a penal colony in Yakutia, but in 2017 he was transferred to the White Bear Colony in Labytnangi. In the winter of 2017, the Ukrainian authorities announced they were prepared to exchange Russian prisoners for Sentsov and Kolchenko. On May 14 of this year, Sentsov announced he was going on an indefinite hunger strike to secure the release of all Ukrainian political prisoners in Russia. 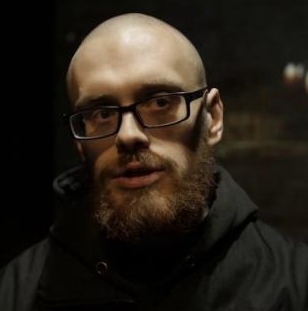 Vladislav Ryazantsev has been assaulted in Rostov-on-Don. Vlad and I covered the entire Sentsov-Kolchenko trial and Nadiya Savchenko’s Donetsk saga together. I arrived in Rostov the first time a couple of days before the Sentsov trial to get my bearings. The next day, I was joined by cameraman Nikita Tatarsky, and we shot a short report about how even the local opposition knew nothing about the trial that was going to take place in their city. Amongst the people we interviewed was Vlad. Later on, he, a journalist from Mediazona, and I were often the only reporters at the hearings in Donetsk City Court. When people say that Ukrainian media did a great job of covering the Savchenko trial, I recall Vlad sitting alone in the courtroom with his laptop. Mediazona’s correspondent and I would be sitting just as alone in the room where the trial was broadcast. It wasn’t always like this, of course, but it happened. I would be remiss not to mention the fact that the attack was literally preceded by threats from Chechnya made to the editor-in-chief of Caucasian Knot, for which Vlad wrote. 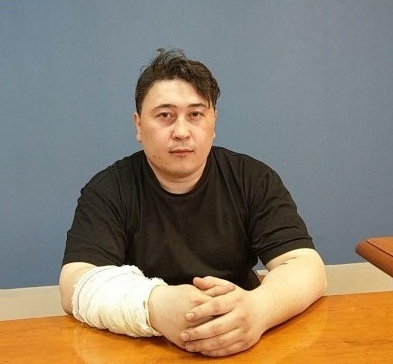 Another Knot correspondent, Zhalaudi Geriev was sentenced in Chechnya to three years in prison for narcotics possession a day before he was scheduled to attend a conference in Moscow entitled “The Media and the Constitutional Court.” You get my drift? It’s not a fact that the attack was connected with the threats. Maybe the local Center “E” guys did their best: they are active in Rostov. Maybe it was pro-Russian militants and mercenaries, who have flooded through Rostov on their way to Donbass. Vlad had publicly taken a pro-Ukrainian stance, and he had a falling out with Sergei Udaltsov‘s leftists and his wife over this point. Maybe it was these leftists who got to him. Whatever the case, threats and aggression towards journalists, made by people who enjoy a special extrajudicial status, open the way to unchallenged violence by anyone whomsoever.